Summary: Fully furnished condominium with 2 bedrooms, 2 full baths, and two spacious courtyard patios. 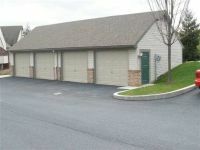 central suburban located with easy access to I-81 and I-83. 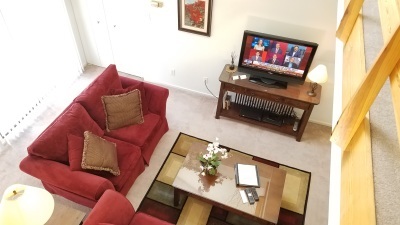 Amenity Features: Private Gym, Washer and Dryer in unit, open floor plan, HD TVs, Unit storage area, Central Heat and A/C, Upgraded linens, bedding and towels, High-Speed Wireless Internet, Customized cleaning services, Fully stocked kitchen. Bedrooms: Two spacious bedrooms. 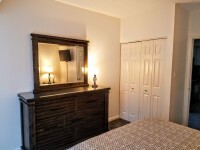 Queen beds, Upgraded pillow top bedding, 400 Plus Thread Count Sheets, Pillows, Dresser, Mirror, Chest of Drawers, Night Stand, Lamps, Artwork, HD TV in master. Electronics: 50" HD TV living room with Smart Blu-Ray and 24" HD TV in the master bedroom. The high-speed wireless internet is provided by Comcast. There is no absence of space or light in our beautiful Susquehanna Courtyard. 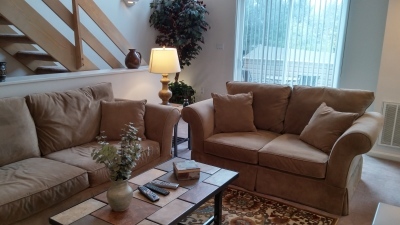 This fully furnished two bedrooms, two bath condominium provides over 1200 square feet of interior living area. For added outdoor enjoyment there are two spacious private courtyard patios that provide an additional 600 plus square feet of outdoor living. 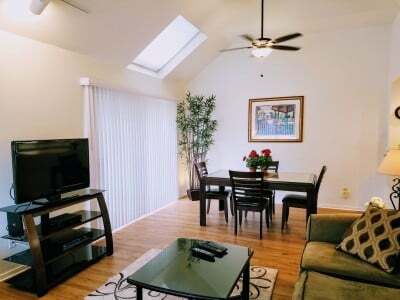 Expansive vaulted ceilings, numerous windows, skylights and glass space provide the unique design and relaxing atmosphere our guests have come to expect from a Contemporary Short Term Housing property. 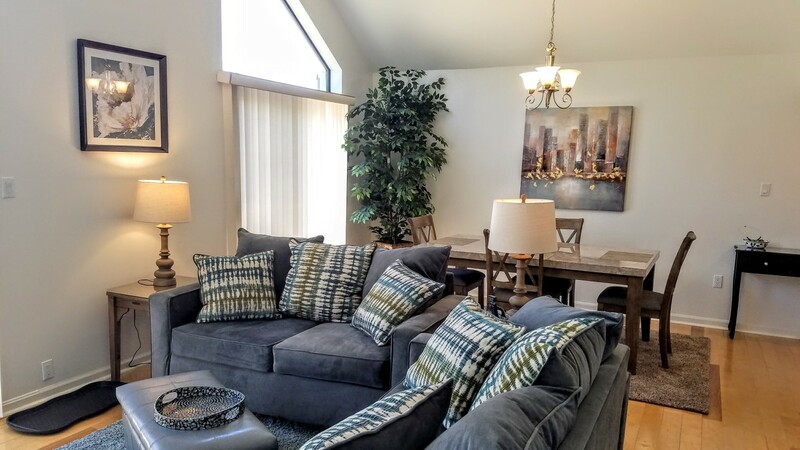 Entry to the home is at ground level to a wide open floor plan that demonstrates the finest furnished housing Harrisburg, PA has to offer. The main living area provides hardwood flooring that leads to a ceramic tiled kitchen and hallway. The hallway continues to a common area bathroom with tile floors and the homes two large bedrooms. 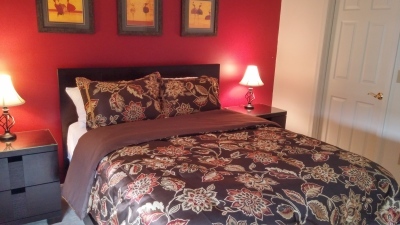 The bedrooms have plush carpeting and the master bedrooms luxurious bathroom is ceramic tile. 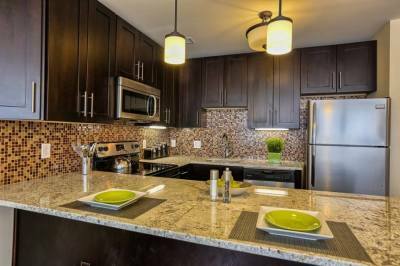 A laundry area also provides the condominiums full sized washer and dryer. Additional features include HD TVs, refrigerator-freezer, built in microwave, automatic dishwasher, garbage disposal, and self-cleaning oven. Wireless internet and TV service are provided by Comcast Cable. Located with a fantastic view of the Blue Ridge Mountains this property provides a relaxing countryside setting with easy access to I-83 and I-81. The Shoppes at Susquehanna, area malls, grocery stores, hospitals, restaurants, and area activities are only minutes away. Local points of interest include Hershey Park, Downtown Harrisburg, Riverfront Park, Hollywood Casino, City Island and numerous others. 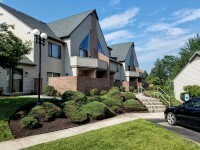 Visit Area Activities for further information about corporate housing in Harrisburg, PA.